Many people, when they think about brand, go straight to their logo. However, your brand is more than a logo. A logo is simply a visual representation of your brand – one aspect of it. Your brand infiltrates every aspect of your business, so it’s important to get it right. However, this can be hard when you are starting out. When you start a business there's usually a fair amount of bootstrapping involved. starfish marketing was no exception. I launched the business with a clear understanding of my WHY – to make a difference for small businesses and our community. As well as being very clear about what the starfish marketing brand was (and stood for). I believe in bringing in the experts and collaborate with a number of other marketing organisations when I don’t have the specialist skillset. 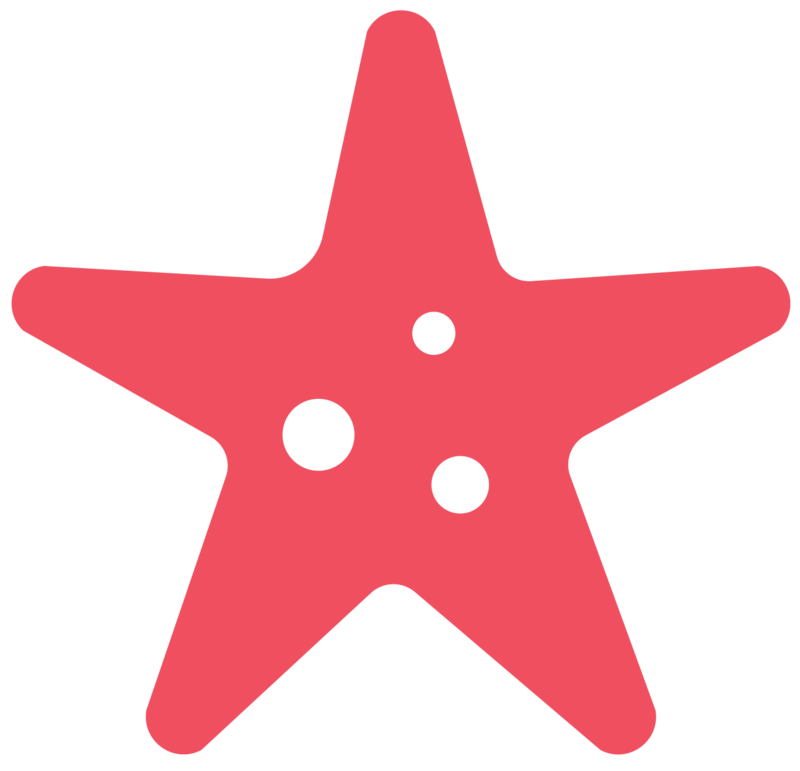 However, for the last three years, the starfish marketing logo has been 'self-designed' – and I am not a graphic designer. This is simply because, at the time of launching starfish marketing , I was bootstrapping and not in a position to invest in having the visual representation of the brand professionally designed. While the starfish marketing brand is strong and consistent in terms of communication and the emotion the starfish story, the visual aspect of the brand, our logo, was… well let's just say it was amateur (at its best). Now for someone who delivers workshops on getting your branding right across every aspect of your business, this has not been a great position to be in. I talk about your brand being more than a logo. And it is so much more than a logo, because you can create a strong brand non-visually. Starfish marketing is an example of this. Over three years we have built consistent verbal and written branding; used some fabulous photography and images with our communications and achieved strong recognition of the business name and our WHY. Everything was aligned except the visual brandmark, the logo (above). The logo just did not embody the starfish brand. And it didn’t align with all the aspects of our brand. and it didn't say that we are great at marketing stuff. It didn’t do any of what starfish marketing is all about! And that, my friends is not a good logo and it is not good for your brand consistency. I could talk and write about our brand and bring its personality to life. But visually the brandmark, our logo, just wasn’t aligned! So, we brought in the experts..
And just look at the results!!! It is with great excitement, and joy (oh so much joy) that we finally bit that bullet and had our logo, a key aspect of our visual brand, designed by the fabulous design company, Kindred Design. 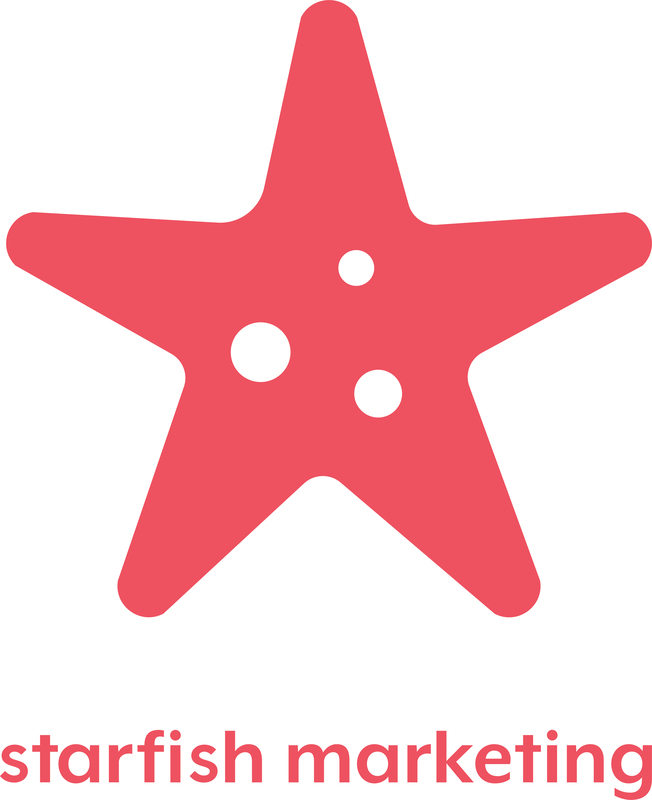 Kindred have done an amazing job in turning my verbal description of starfish marketing into a beautiful, simple brandmark that tells our starfish story. We couldn't be happier with the results. And now our branding is (well, it will be when we update everything) complete and consistent across all aspects of our business. And that makes us happy little marketers. 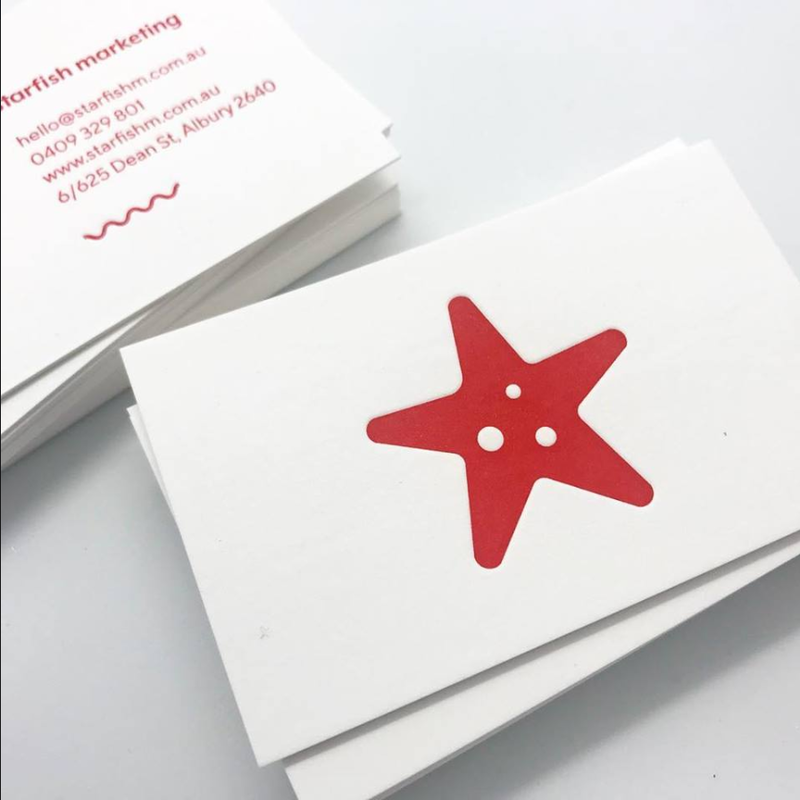 Here is the new starfish marketing brand applied to our business cards. Designed by Kindred and printed by D&D Letterpress. The cards are beautifully tactile as well and being gorgeous visually. While you may be able to build a brand without expert graphic design involvement, it will never be as strong or consistent as its potential. So, bring in the experts as soon as you can. It may look like a considerable financial investment, but it will be oh so worth it. And it will make your brand stronger and better. If I had my time again, I would sacrifice something else to invest in getting my brand absolutely nailed from the start.